This showstopper dessert looks as good as it tastes, and is the perfect end to a festive summer celebration. 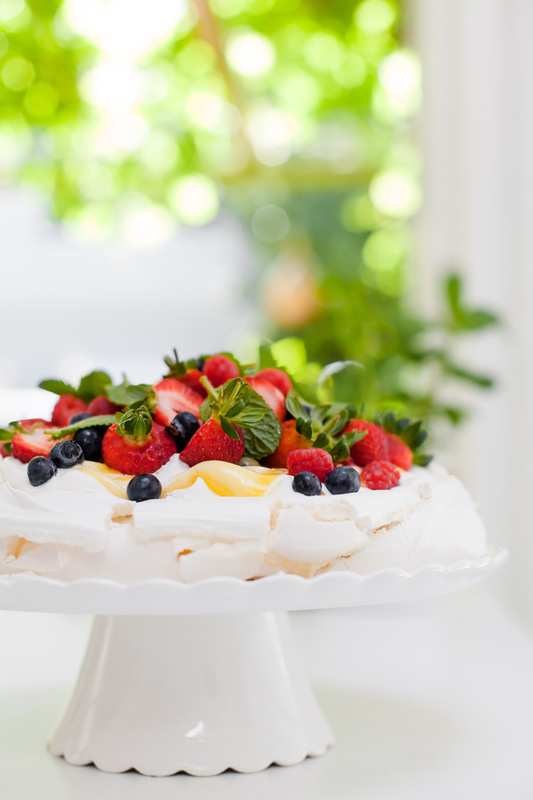 The zing from the granadilla curd cuts the sweetness of the meringue, and pairs well with the cream and berry topping. 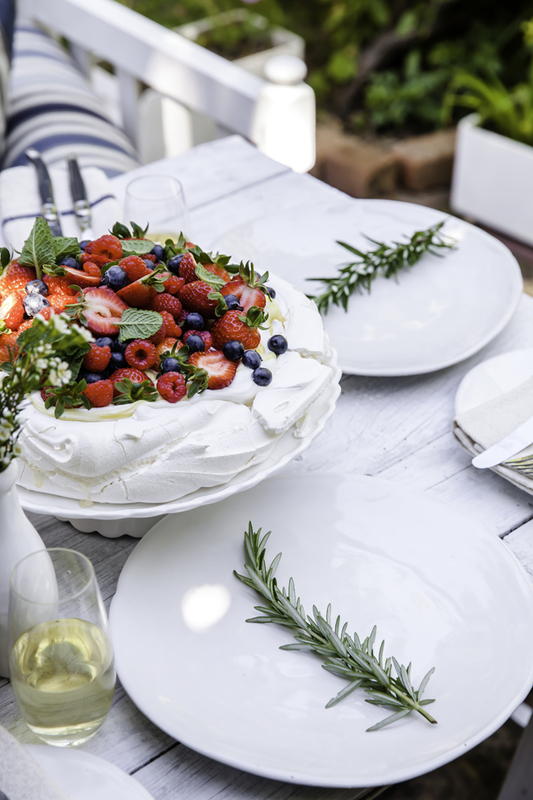 The meringue nest and the curd can be made the day before and assembled a few hours before serving, making your festive preparations that much easier. 1. Preheat the oven to 110°C. 2. In a mixer, whisk the egg whites until stiff peaks form. Add the sugar, a few spoonfuls at a time, and continuously whisk back to stiff peaks before adding more sugar. Once all the sugar has been added, add the vanilla and whisk thoroughly. 3. Place the meringue onto a lined oven tray and shape as desired. Bake in the oven for 2-3 hours until the outside is firm and the centre is slightly soft. 4. Next, cook the lemon juice and zest, butter and sugar in a heavy-duty pot, until the sugar has dissolved. 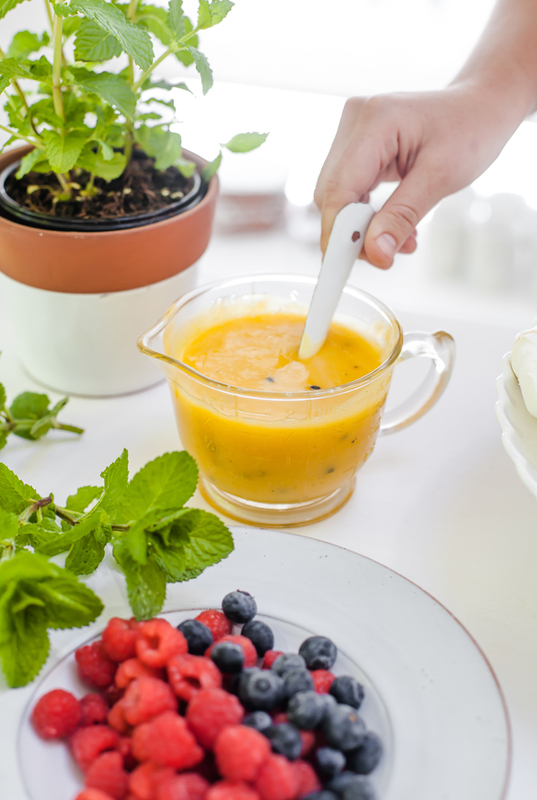 Add the granadilla pulp and the whisked eggs slowly. Lower the heat. Keep whisking until the curd has thickened. Do not let the curd boil. Strain the curd and refrigerate when cool. The curd should sit overnight before use. 5. 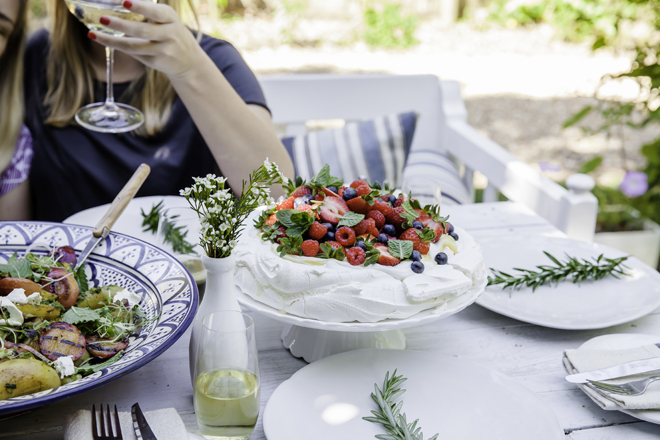 Dollop the pavlova base with whipped cream and then drizzle with granadilla curd. Top with assorted fresh berries. Scattering a few mint leaves on top of the berries adds a pop of colour contrast and complements the bright red of the fruit.